Greater Concord enjoys many advantages when it comes to making the case for relocating a business or family here – safe neighborhoods, quality schools, a cool downtown, great outdoor amenities for hiking, skiing, biking, swimming, the list goes on and on. Yet there is always room for improvement. One opportunity revolves around our ability to stimulate entrepreneurial activity in the Capital Region. 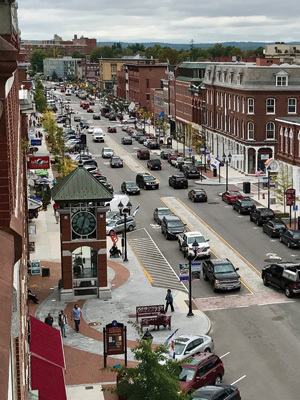 We’re excited to share that the Chamber has partnered with the City of Concord, Capital Regional Development Council, NH Business Finance Authority and Merrimack County Savings Bank to explore the creation of an Entrepreneurship Center in Concord. Like a business incubator, the main goal of the center would be to create a sustainable infrastructure of services and resources in a local facility that supports the region’s fledgling entrepreneurs. A recently concluded feasibility analysis by Charlottesville-based consultant Axcel Innovation LLC, identified the need for a shared space concept with a small staff that can offer support services to both emerging stage, development-level entrepreneurs and the more mature, committed level. The report recommends starting out with a modest-sized space with an eye toward sustainable growth. The prospect is improved thanks to local developers who have already expressed interest in providing in-kind space during the Entrepreneurship Center’s initial years. Stay tuned for further developments! Another important area for growing and retaining existing business is in the recognition of excellence. On Thursday, June 7 the Chamber will host its 13th annual Pinnacle Awards luncheon, where we will be honoring three area businesses and three individuals who have demonstrated outstanding performance within their industry and as corporate citizens. We hope to see many of you there!